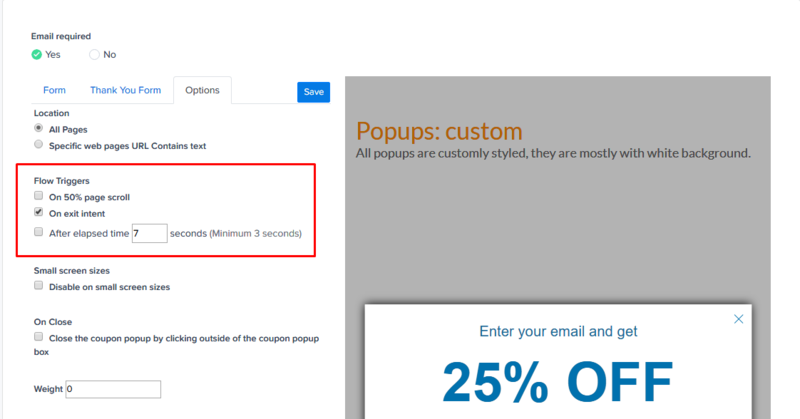 If you don't see the popup showing in your store, please check the following factors. The action that you selected as a trigger must be done in order for the popup to be displayed. 1. Exit intent: When visitors move their mouse cursor to the close button. 3. Elapsed time: When visitors stay in your store for longer than the given time. Keep in mind that the popup is only displayed ONCE per session. Each session is counted and the time period that starts when you open your browser and ends when you close the browser. 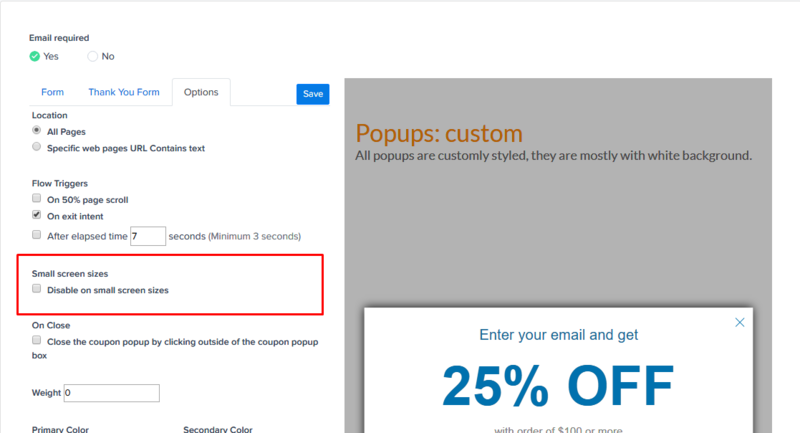 From the second time you enter your store in the same session, the popup is not going to show up. If your popup is not showing up on mobile devices, do check this setting to see if you disabled the popup on small screen sizes. 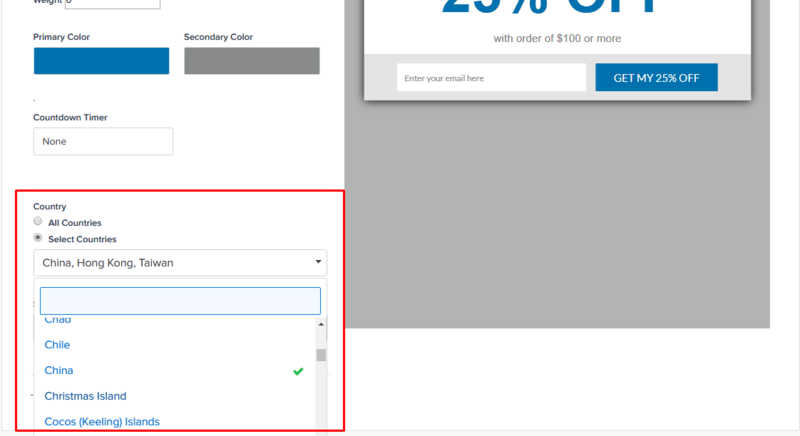 Make sure you are viewing your store from a country that you allow the popup to show up. If the settings are right and you still do not see the popup popping up in your store, leave us a message at support@eggflow.com and we'll get it fixed as soon as possible.